Our headquarters are near the historic town of St. Michaels, MD, which provides the perfect opportunity to select our seafood from the local watermen. We are always ready for the unexpected. When a party grows by two or two hundred at the last minute, Chesapeake Seafood Caterers can handle it. We have prepared our famous recipies for large and small groups. You can be assured that you will have delicious food and a proper presentation with each detail covered by the most experienced staff at your beck and call. No matter how beautiful the day, a party always needs some shade. We provide tents to our local customers and events. Interested? 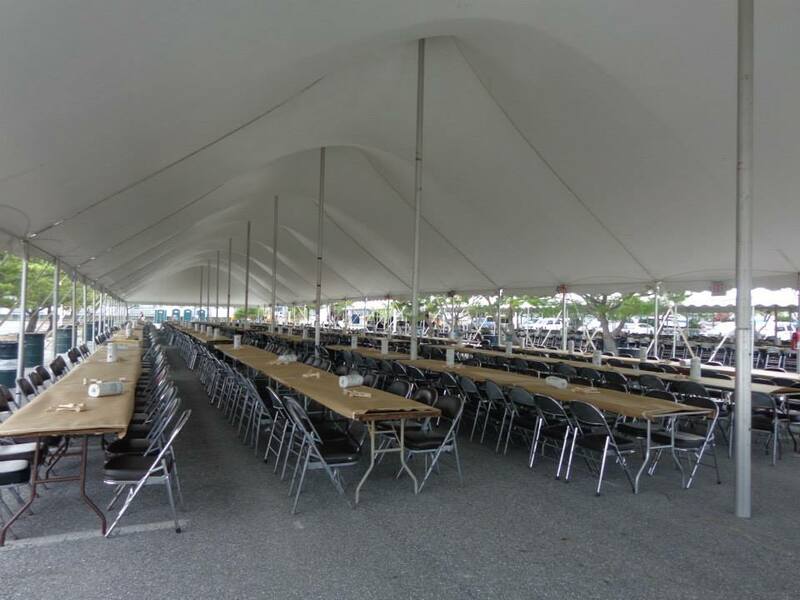 Be sure to ask us about our tent options when you contact us about your event.